And what a great night it was! 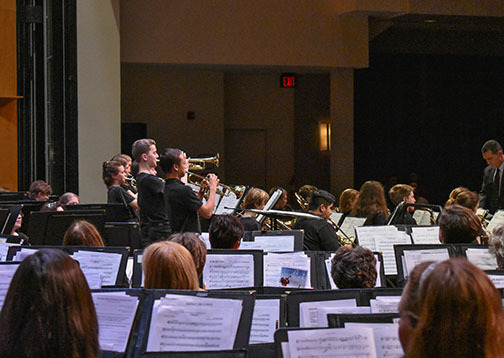 The 2018 Children’s Concert with the NOVA Alexandria Band, with special guest trumpeter Dennis Edelbrock, The George Mason Elementary School Jazz Band, The George Washington Middle School Jazz Ensemble, The Alexadria City Public Schools Student Finalists in the National PTA Reflections Program and the Area School Band and Orchestra Students! 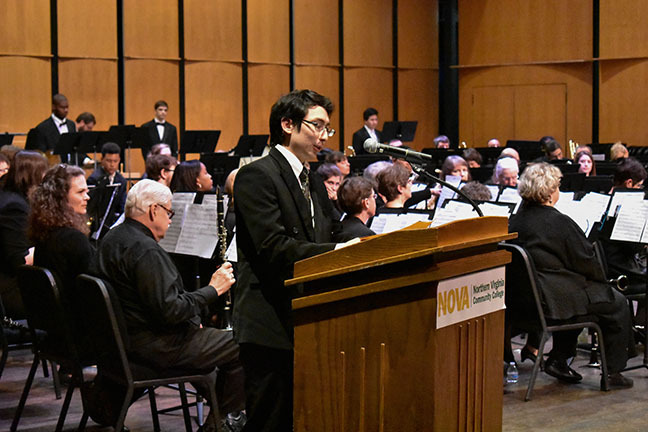 Nathan Evaristo was kind enough to do the concert notes! According the Nathan, the first performance of the night, ““Esprit de Corp”. 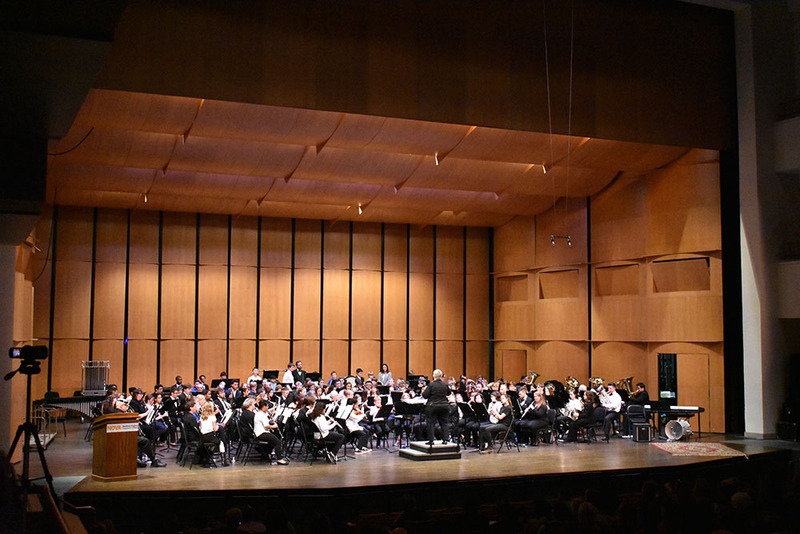 It was written by an illustrious, modern composer named Robert Jager who has written pieces for the greatest and most esteemed bands around the entire world. 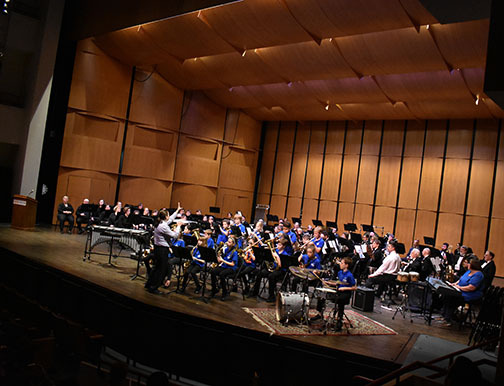 This piece was written for the President’s Own Marine Corps Band, a group consisting of some of the world’s finest musicians who perform and record regularly right here on this very stage. The definition of “Esprit de Corps” is a spirit of pride, fellowship, and common loyalty…that the US Marine Corps embodies. In case you didn’t know, the DC Metro area is an excellent place to be if you’re into the music scene. 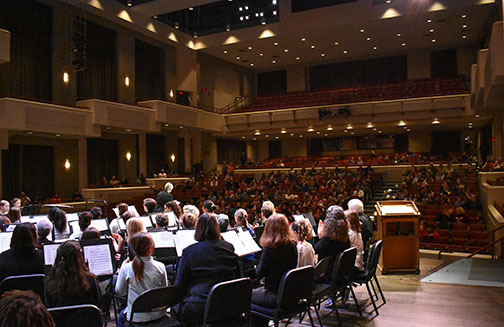 There are a great deal of professional ensembles and renowned orchestras, bands, and virtuosos. 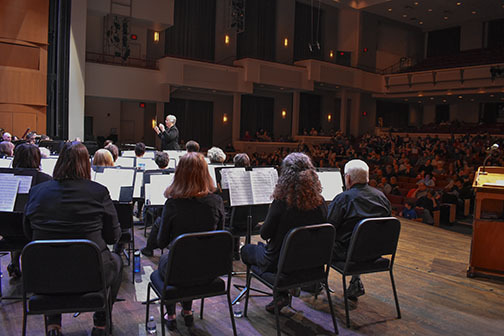 There are even brilliant, accomplished composers that live in the area. 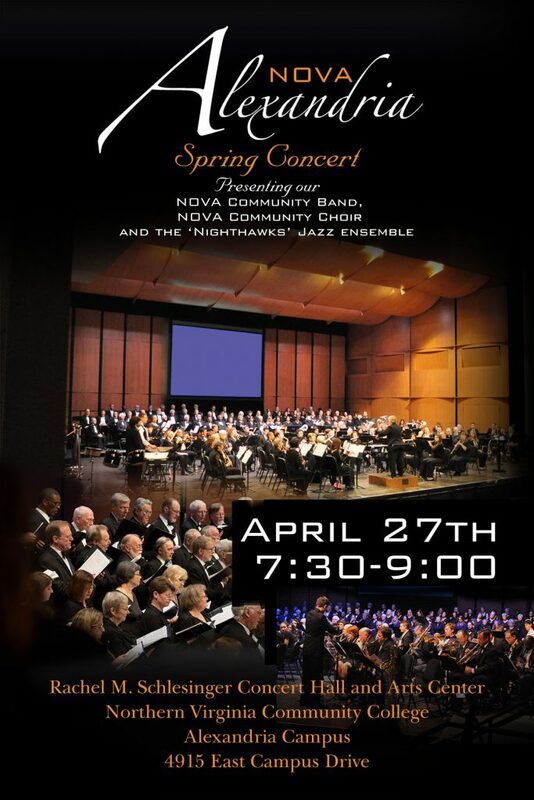 Well, we’ve had the pleasure and honor of working with one of these composers for this very concert! 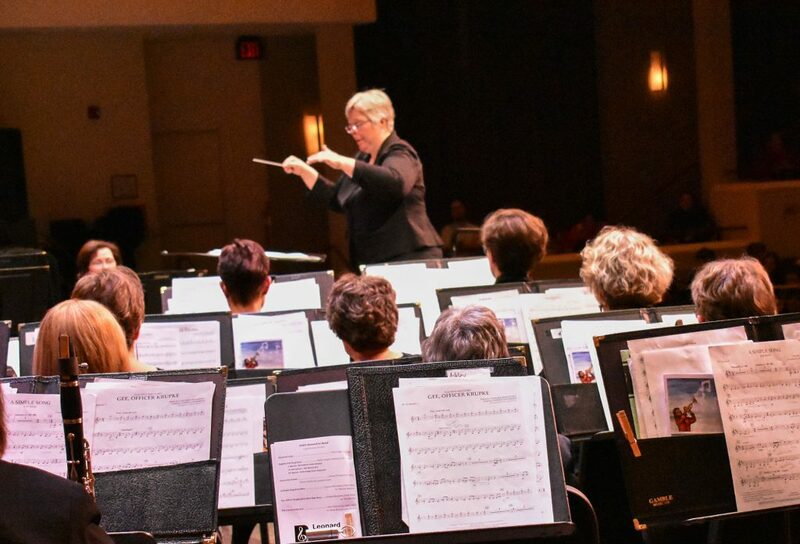 Retired Chief-Arranger and Composer of the United States Air Force Bands, his name is Robert Thurston, and what he has written here is a delightfully innocent, soaring song called Across the Clouds. It features a solo trumpet part that’s… well, let’s just say that “it isn’t for the faint of heart.” That would be putting it lightly! And on trumpet tonight, we have trumpet phenomenon Dr. Dennis Edelbrock! 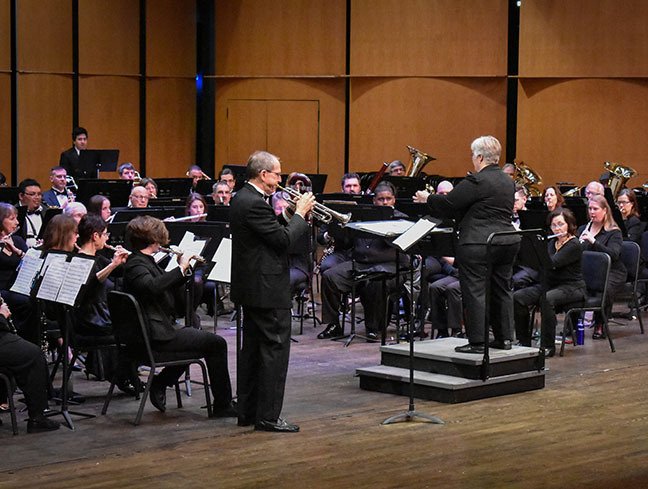 Dr. Edelbrock teaches trumpet at the George Mason University and has an extensive expanse of musical accomplishments and involvements! Denny is a master at his instrument and knows how to bring the house down! 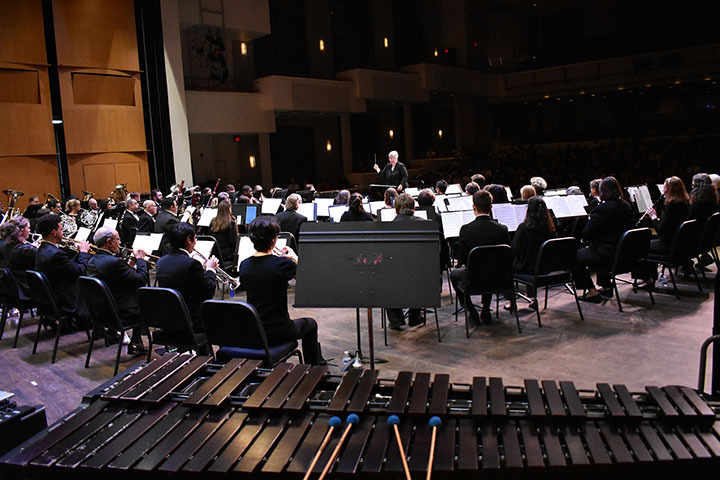 “we–along with many musicians around the world–are participating in a movement to celebrate the 100th Anniversary of Leonard Bernstein’s birth in 1918. Leonard Bernstein was a true Renaissance man. 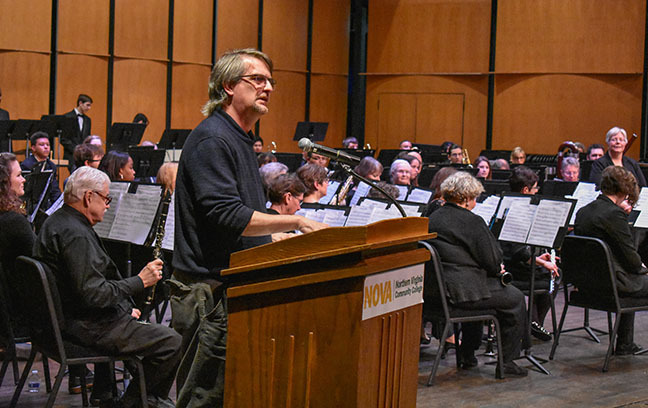 He was a leading activist and humanist, a brilliant musician and pianist, conductor, composer, and perhaps most importantly, a world-class teacher. And I mean WORLD CLASS. This man went through nearly the entire history of music, at a piano, in 5 minutes, on live TV…. Yeah! Exactly! It’s still on YouTube! 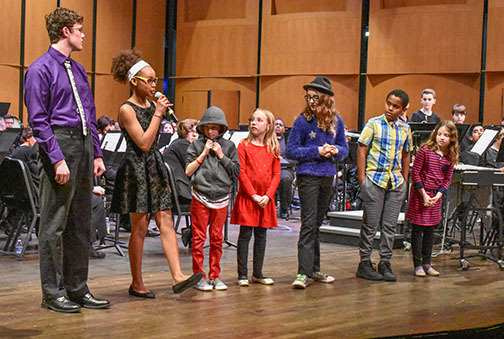 So, Bernstein… He started and popularized the Young People’s Concerts series. Now, as you can imagine, Bernstein was incredibly passionate about what he did. And I have always believed that the best teachers inspire students with positive displays of their own passion. And this man was absolutely no exception. 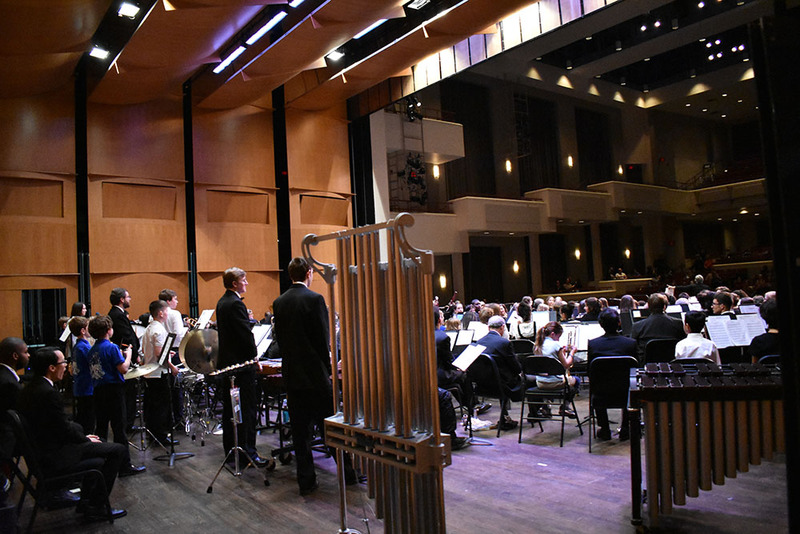 In fact, his very first year directing the Young People’s Concert in 1958, it became the first series of concerts ever nationally televised from the Lincoln Performing Arts center where it was hosted, and those concerts have inspired people in every single generation ever since! I could go on and on all night about Bernstein, but I would risk turning this into the droning speeches in between pieces that most people can’t stand so I won’t do that… but seriously… Bernstein was a brilliant man! 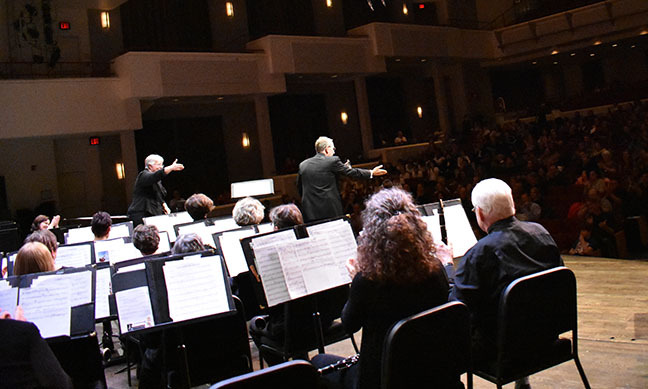 We’d like to finish the NOVA Band portion of this concert with one final piece! Have you all ever heard of the March King? The American born King of March–John Phillip Sousa!! Oooffff course you have! Well, this next piece is titled The Fairest of the Fair, which he wrote for the Boston Food Fair in 1908. As the story goes, one day, Mr. Sousa was at one of the many fairs he attended, and he saw a beautiful woman. And not just any beautiful woman. Apparently, she was absurdly, crazy gorgeous. SO much so that he was inspired to write an entire march for this fair lady. This march in fact. And this was the only piece he wrote that entire year. And considering we’re talking about somebody who wrote 137 marches in his lifetime… that’s saying something! 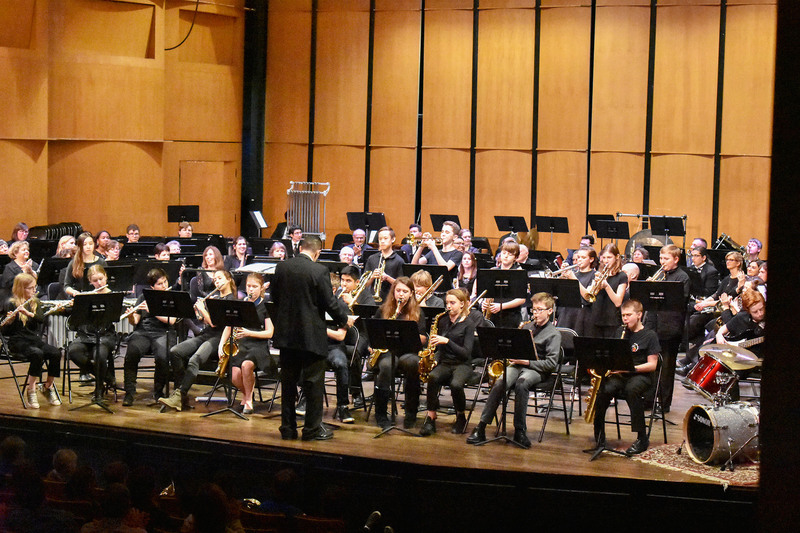 Before we knew it, it was time for The George Mason Elemtary School Jazz Band to take the stage! The band director, Heather Rosner is just incredible. She had them up and ready to go in no time. What is not to love about these kids! 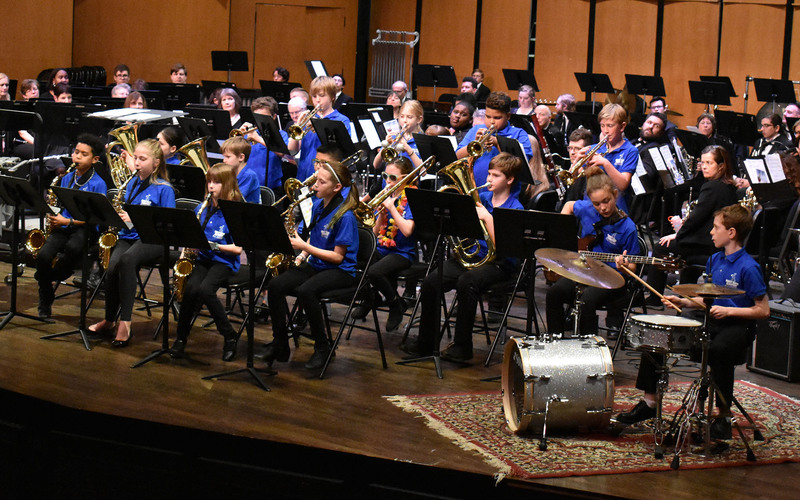 They began their set with Duke Ellington’s C-Jam Blues, with was arranged by Rick Stitzel. Their final piece was Ellington again! Satin Doll, arranged by Michael Sweeney. 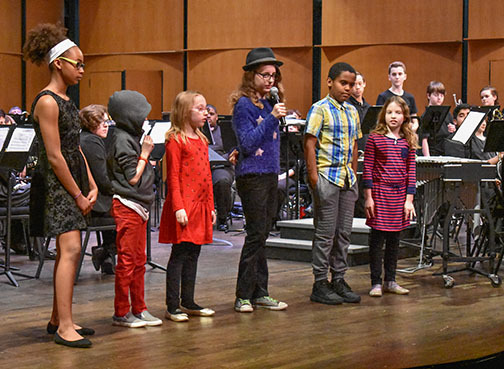 Next up were the Student Winners from the Alexandria City Public Schools in the Visual and Performing Arts Categories of the National PTA Reflections Program. They even announced the winner that made it to the State round!!! 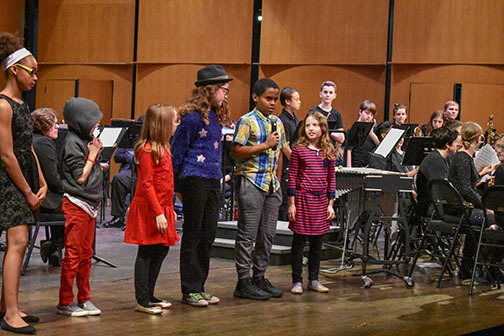 After a huge round of applause for these incredibly talented kids, we welcomed the George Washington Middle Schoo Jazz Ensemble, directed by Richard Seracino. They began the set with Sugar by Stanley Turrentine, which was arranged by Mark Taylor. They went on to play Sonny Henry’s “Evil Ways” and Shakey Ground by Alphonso Boyd, Eddie Hazel and Jeffrey Bowen. 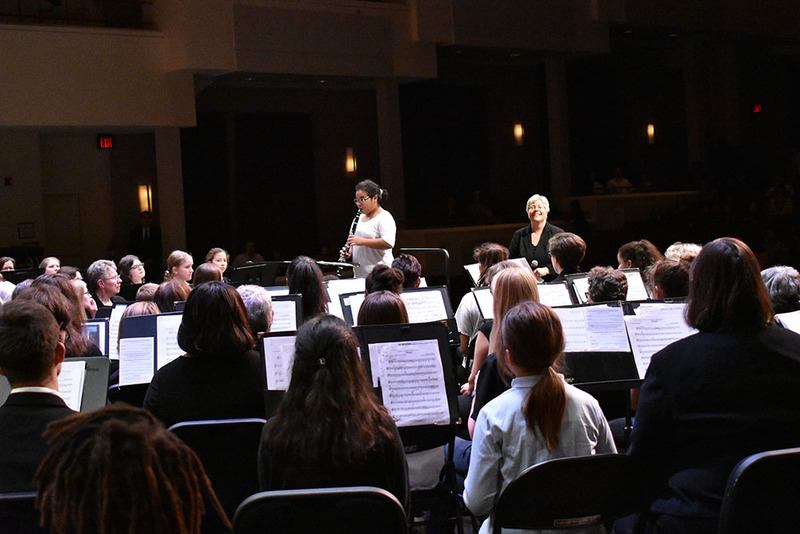 After a great set, it was time for the big Grand Finale which combines our performing school children from area elementary and middle schools with the NOVA Alexandria Band! 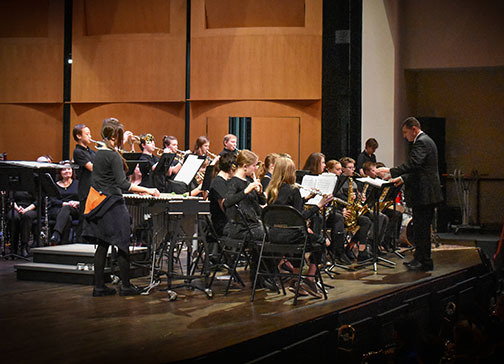 They began to get ready to perform “Chester by William Billings and arranged by Brad Pfeil. 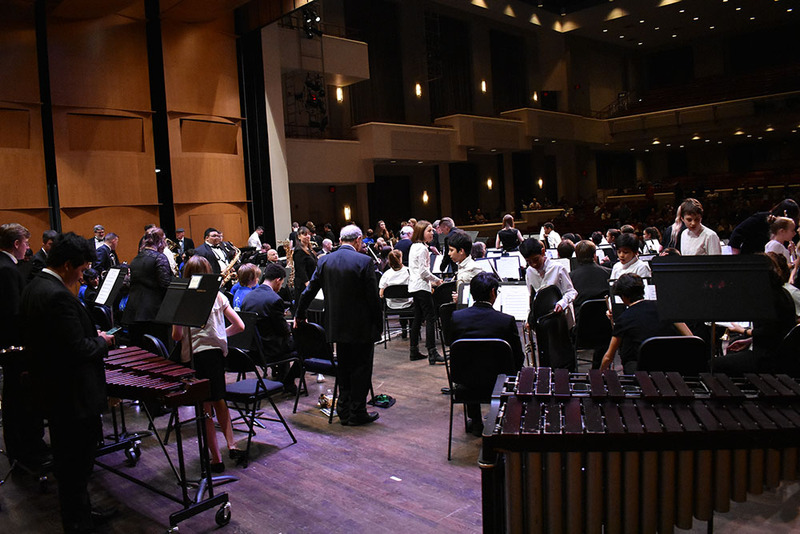 And then the music began… what a great piece! The students ended the night with “Sword Dance” and the crowd loved it!!! Concert flyer for Broadway Celebrations! 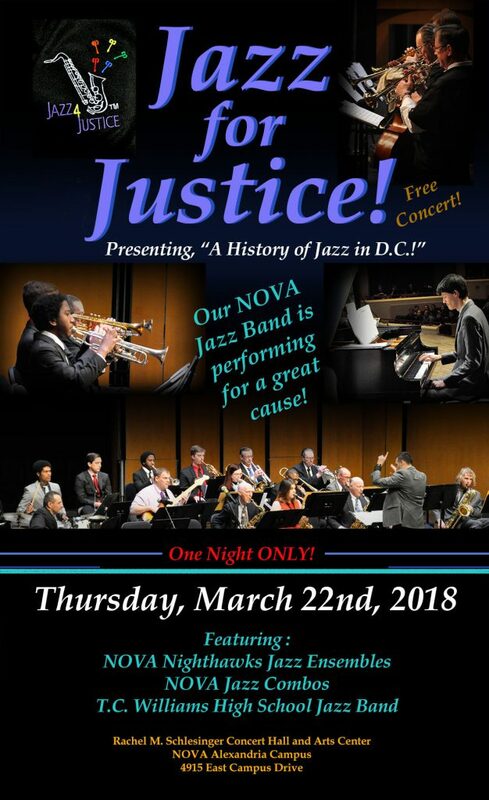 and consider joining our Jazz Ensembles for JAZZ FOR JUSTICE! 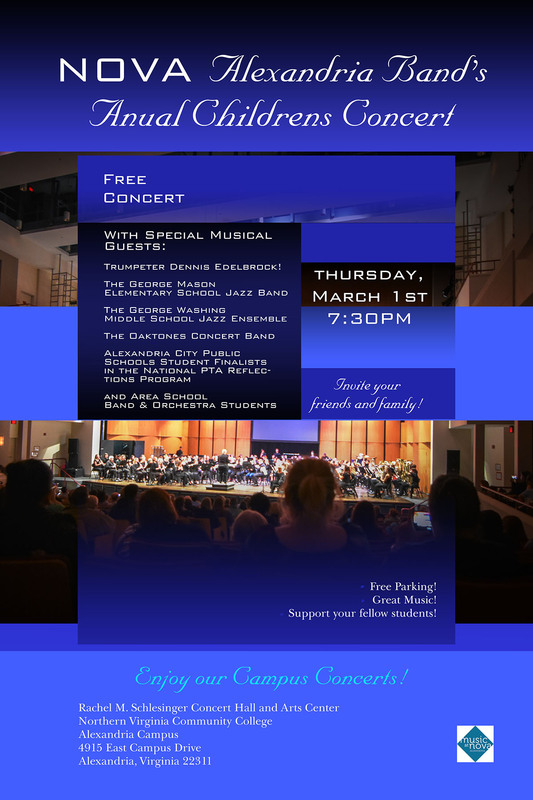 Thursday, March 22nd with a pre-concert jam in the lobby begining at 6:00pm. Concert begins at 7:30. …and as always, we’d love to have you join our mailing list out in the lobby to get more information! 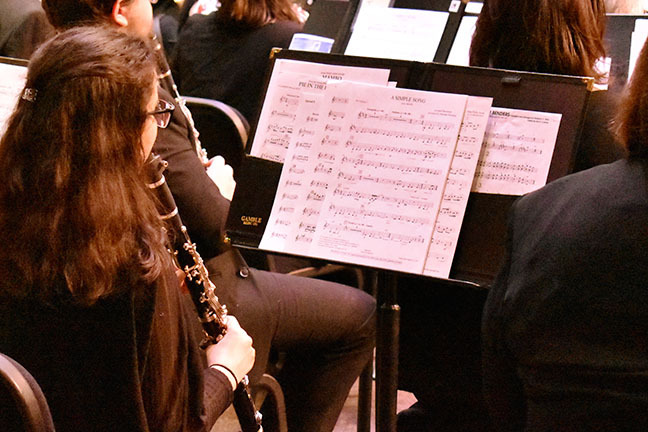 Post by Britt Conley, Administrative Admin for the music Department. 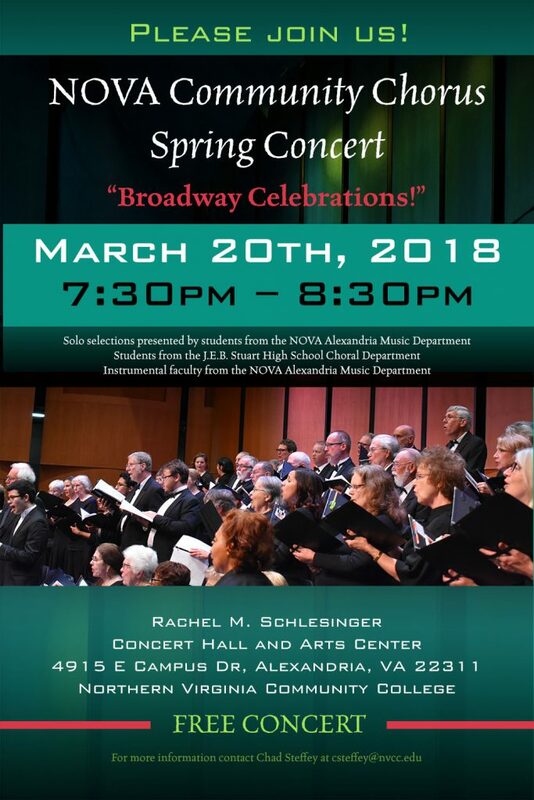 Previous Post2017 NOVA Holiday ConcertNext PostThe NOVA Community Chorus hosts, Broadway Celebrations!